Custom Tank for ZAETA motorcycle. 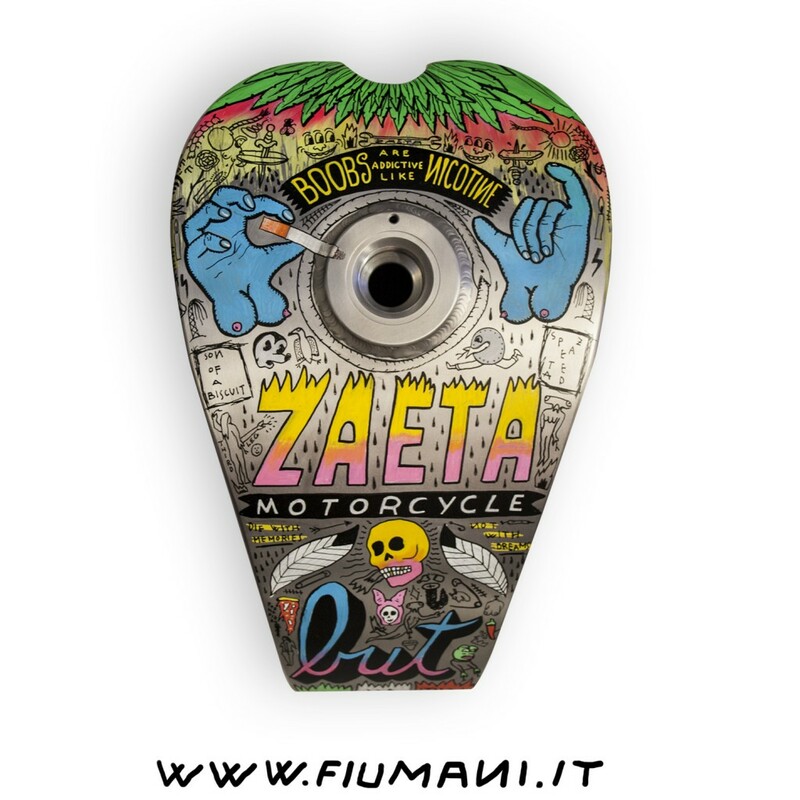 Passion drives us all, this is how it started my collaboration with ZAETA motorcycle. 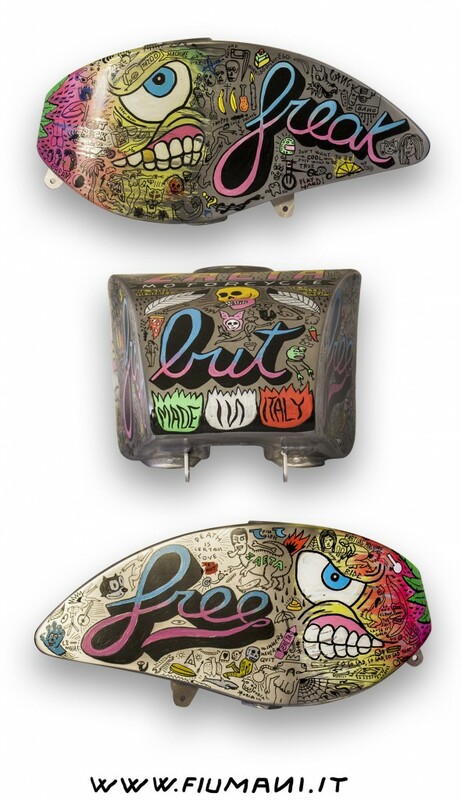 Zaeta’s origins can be traced back to 2007, when founder Paolo Chiaia, was transfixed by the short track races at Daytona. In December 2008 Chiaia met Graziano Rossi, the father of Valentino Rossi. The senior Rossi proposed a slightly different perspective: “He spoke of a small bike that could turn to the right or left; I was talking of a small, lightweight bike that could go on either the dirt or the road.” The result was the Zaeta 530, which is now in its second incarnation and ready for production. It’s powered by an Italian-built TM single—a dry-sumped, DOHC job with four titanium valves and a Keihin FCR 41mm carburetor. Here goes some photos of my designs on their tank.